Ramblers Rest Cottage is perfect for a break in the beautiful Brecon Beacons National Park. 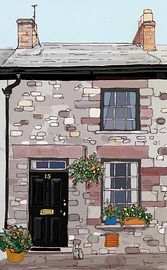 Grade II Listed, the cottage nestles in the oldest street in Crickhowell, and is only two minutes walk from the River Usk, famous for its excellent fishing and wildlife. The cottage has been refurbished throughout, is centrally heated and offers well appointed accommodation, whilst still retaining the charm and peaceful atmosphere of its mid-1800s origin. Crickhowell is easy to reach from all parts of the country and is an idal base from which to explore and discover the delights of the Brecon Beacons National Park. From the doorstep, you can enjoy many beautiful and varied walks, fishing or canoeing on the River Usk, horse-riding, mountain biking and many other activities. Crickhowells charming High Street is only a five minute walk from the cottage and has a variety of interesting shops, with plenty of local produce available. There are many places to eat within walking distance of the cottage. 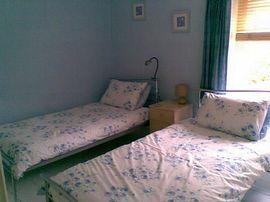 The cottage is looked after and maintained by the owners, to ensure that everything is in order for your visit. Excellent walking from the door of the cottage. Excellent local food shops and plenty of places to eat. Secluded and lovely garden, with garden furniture and BBQ etc. By car: Crickhowell is easy to reach from all directions as it conveniently sited on the A40, just six miles west of Abergavenny and 12 miles east of Brecon. On entering Crickhowell from either direction, you will reach the petrol station on the main road, and then take the road opposite (New Road) which leads down to the River Usk. Traffic lights control the flow of traffic accross the bridge, but you must turn left immediately before you reach the bridge, past the Bridge End Inn, and turning back uphill. You are now in Bridge Street and Ramblers Rest Cottage is on the right hand side. Station at Abergavenny. Buses from Abergavenny to Crickhowell. 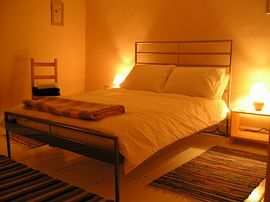 Low Season (Nov/Dec/Jan/Feb/Mar) (excluding Christmas and New Year) - from: £235.00 per week. 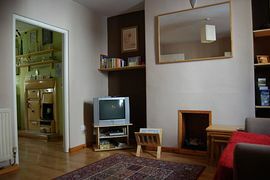 Mid Season (Apr/May/June/Oct/late Sept) - from: £295.00 per week. 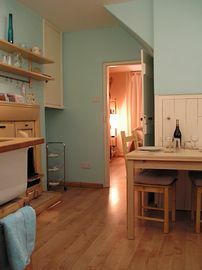 High Season (July/Aug/early Sept) - £375.00 per week. Changeover day is usually Saturday, especially in the main school holiday periods. However outside of school holidays, we are very flexible with days, dates, arrival and departure time. Just chose a time, and get in touch! From the visitors book: A gem of a cottage. Very cosy and relaxing. Great Walking. Lovely sitting in the quiet garden listening to the birds singing. A really lovely area. Very friendly locals.